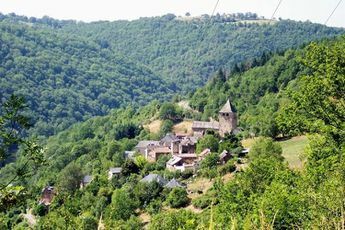 Have a field day in the lively environment of Nages while camping at Rieumontagné campsite. 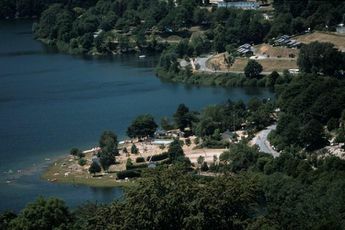 This 4-star campsite looks over Laouzas lake and is 80 km (50 miles) from Albi, a listed site. 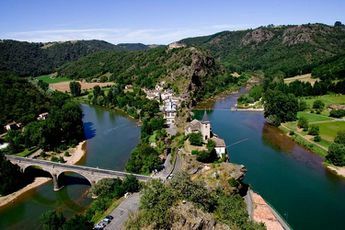 Surrounded by mountains and the lake district of Tarn, the Rieumontagné plunges you into a charming, bright world with recreational facilities and comfortable accommodation. Enjoy the swimming pool or head down to the shores of the lake to discover the water sports centre and its numerous available activities. In high season, the campsite promises moments to forget your troubles with lots of entertainment during the day as well as in the evening. Its kids club and club for teenagers is open in July and August for children and young people to make friends. 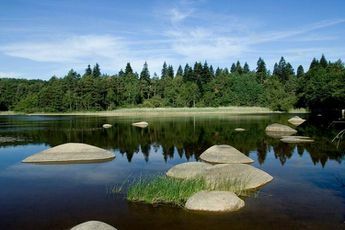 Win a trophy in the pétanque competition or table tennis tournament, take part in an aquagym session, or organise hikes and discover Tarn. After an enriching excursion, take a break in the evening by watching some entertainment or having a drink at the bar. Every evening in the summer, there is karaoke, themed parties, discos, and lots more to guarantee you a good time! Other services available include a restaurant, laundrette, bike rental and internet access. 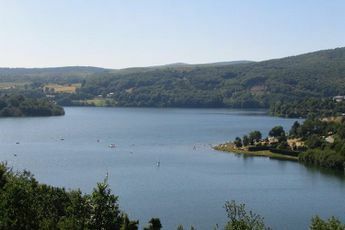 In the heart of a preserved environment, the Rieumontagné campsite welcomes you to Nages, in Tarn, on the shores of the Laouzas Lake. Its the ideal location to combine discovering nature, outdoor activities and relaxation. 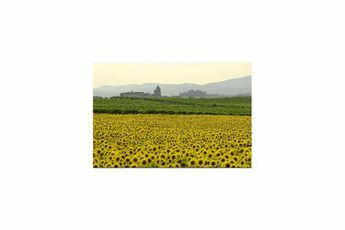 Throughout your stay, you will love walking through Haut Languedoc Regional Nature Park or exploring the treasures of the Midi-Pyrénées region. Above all, dont miss exploring Albi, its cathedral and its Bishops Palace.